This is the problem with the Deep State and the media's attack on Saudi Arabia. This nation is destined to become part of the "King of the South" found in chapter 11 of Daniel in the Bible. The last thing we need right now is to help that happen. This is a ploy to build a nuclear bomb - WHICH THEY WILL DO- and Trump needs to stop the anti-Saudi rhetroic and keep Arabia in the fold as long as possible. 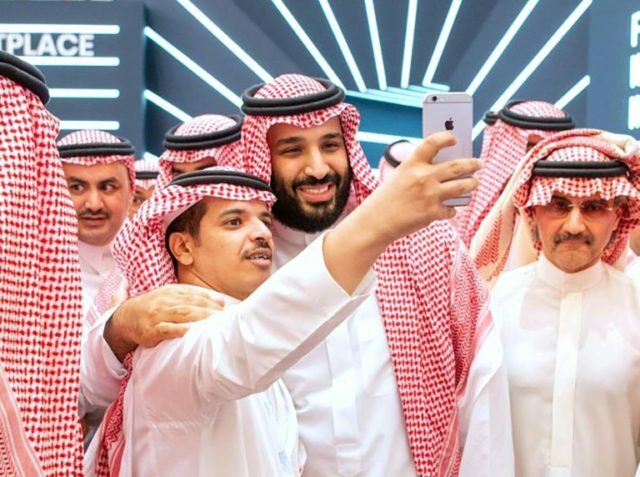 The Times of Israel reports: Saudi Crown Prince Mohammed bin Salman on Monday laid the foundation stone for the kingdom’s first nuclear research reactor, state media said, as the kingdom seeks to diversify its energy mix. The reactor was among seven projects launched by the prince during a visit to Riyadh’s King Abdulaziz City for Science and Technology, the official Saudi Press Agency reported. SPA offered no details on when the research or non-power reactor — typically used for research, development and education purposes — would be built and at what cost. FORWARD BY BOB BARNEY: Actually, the United States is no longer a Super Power, as most believe. Yes, we can fight limited engagements with moronic Middle Ages Muslims, but we could never sustain a true war with a true world power like China, Russia, or the emerging world super power of Europe, yet to come. We are more like the Roman Empire in AD 500, then we are like Americas was in 1945. Look at this link: Shipyards and Suppliers for U. S. Maritime Commission During World War II for the shock of your life!. If we lost an aircraft carrier today, it would take 5 years to build another. In World War 2, we lost 5 in a year and had that many built in a year! In World War 2, we had our own steel, our own cars, our own energy, our own factories, our own materials. We did not depend on China for much. We can not fight a true world war. Our people are too soft to suffer the wounds of war, and our press has sold us out to communist influence. Traitors (we call the the media, and our global elite class) has sold America into slavery, and the next war will bring this horrible truth top light. Few have any knowledge of what happened on the beaches of Anzio, Italy in 1944. By all accounts the the battle at Anzio was one of the longest protracted battles of the war with over 25,000 battle casualties (killed, wounded, missing, or taken prisoner) on each side of the conflict. That's in a few days in history. Could Americas loose 500,000 today? the Bible actually mentions the fate of the USA and it is not pretty. Long before the return of Christ, the United States, France, Britain, Denmark and the rest of "lost Israel" will have been destroyed, and our peoples in captivity under control of the BEAST GOVERNMENT of Revelation (Rome controlled EUROPE). It's coming, be prepared ----make friends with GOD! And North Korea? It has atom bombs and has tested an H-bomb. It has intermediate-range ballistic missiles that can hit Guam and an ICBM that, fully operational, could hit the West Coast. It has shorter-range missiles that could put nukes on South Korea and Japan. Are you aware that the rise of Alexander the Great was foretold in the Bible BEFORE Alexander was even born? This is not widely known, and the Hollywood movie made several years ago did not mention it, but the famous Jewish historian Josephus records that Alexander accompanied the priest of the Living God to the Temple into Jerusalem, where he "offered sacrifice to God, according to the high priest's direction, and magnificently treated both the high priest and the priests." Josephus lived in the first century AD and his history of the Jewish people are read to this day. We are often told that the Old Testament prophecies are mainly "fairy tales" that never really were fulfilled. They were actually written after the events happened and then written down after the fact, claiming to be written at an earlier time. 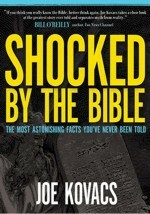 This is a total lie propagated by historians in an attempt to make the Bible an error filled uninspired book of men. These historians know that Alexander the Great conquered Egypt, Syria, Palestine, and the known world of his day. Josephus says that he was told about Daniel, and the fact that his reign was predicted some 200 years earlier by the great prophet, Daniel! Alexander was no doubt impressed! So impressed that he did not only visit the Temple in Jerusalem, but made a sacrifice to the God of Israel! A European Army is Coming! The Bible says so! IMAGE CREDITS: CAMPUS FRANCE / FLICKR. Defence Secretary Michael Fallon today blasted the EU’s plot to create its own army and urged it to back off. The Cabinet heavyweight described a euro force as “unnecessary” as he arrived in Brussels for crunch talks with EU defence ministers this morning. He strongly implied that Britain is set to oppose the creation of such an army, which is backed by some member states including Germany. Mr. Fallon made the remarks as he jetted into the Belgian capital for a meeting of the EU foreign affairs council. There ministers are set to discuss the implementation of the EU’s much-vaunted ‘Global Strategy’ on defence and security. Eurocrats have repeatedly insisted that the policy is not a military power grab, but critics say it will create a Brussels army by the back door. A solar eclipse, a super moon, the FTSE 100 breaching 7,000 and the US Federal Reserve speaking in tongues - truly some kind of financial apocalypse must be nigh. Well, maybe. We are certainly living in strange times. An unprecedented monetary experiment is coming to a staggered end and no one knows the potential repercussions - a plague of frogs cannot be entirely ruled out. For the time being, the markets remain sanguine, expecting, for example, a gentle increase in the Bank of England’s main interest rate to just 1.5pc by the end of the decade. And, who knows, maybe the markets are right. Bestselling author Tom Horn, featured on the blockbuster movie, “The Last Pope?,” told WND in an exclusive interview that the statements imply the man once known as Jorge Mario Bergoglio sees himself as part of a prophecy. St. Malachy’s “Prophecy of the Popes” is said to be based on his prophetic vision of the next 112 popes, beginning with Pope Celestine II, who died in 1144. Church of Christ or Bride of Anti-Christ? You decide. "There are those who believe they can maintain a personal, direct and immediate relationship with Jesus Christ outside the communion and the mediation of the Church. These are dangerous and harmful temptations. These are, as the great Paul VI said, absurd dichotomies....let us ask the Lord, through the intercession of the Virgin Mary, Mother of the Church, for the grace never to fall into the temptation of thinking we can make it without the others, that we can get along without the Church". Noteworthy words indeed. This is his church's claim which he passionately embraces. It is its dogma that led to the slaughter of more than 50 million souls during the Dark Ages. Don't be deceived. Despite widespread media coverage to the contrary, his church has not changed. It also claims that it is the church that Christ established on earth. But the Bible reveals quite differently, as it its teachings are diametrically opposite to what the Roman church espouses. I invite you to weigh the evidence. One of the most important topics that anyone should understand about world events, the Bible and their future is the answer to this question: ARE WE LIVING IN THE LAST DAYS.. Unfortunately the average Jane or Joe is bombarded with views of this event from either Hollywood or even worse modern Christian evangelism looking to line their pockets much more than trying to explain the word of GOD! Everyone has heard “the Gospel.” Many love Gospel music, Gospel names and even “sharing the Gospel”, but most of us don’t know what the word GOSPEL actually means! Gospel is an old English word that just means “good news.” The Gospel is the Good News of God’s plan for mankind and YOU! Jesus was a newscaster! So too was John the Baptist, Peter, Paul and John the Apostle. Daniel, Jeremiah and even Moses were newscaster! Unlike Dan Rather, they got their news from God Almighty! One third of the Bible is prophecy, or FUTURE NEWS of what is going to happen in the world and when GOD returns to this world to establish a GOVERNMENT on Earth! Yes, Heaven is coming to you, you are not going to Heaven! Remember these words, “Our Father, who art in Heaven, hallowed be thy name. Thy Kingdom come, thy will be done, on earth as it is in heaven.” ON EARTH! God’s Kingdom is coming to Earth after the reign of man is over with. The exact order of this is given by Christ himself in Mathew 24. Jesus is plain about the end times. One, nobody knows the exact hour or time of the return of Christ. No man, no Angel and especiallynot a single Demon. So the next time you hear your favorite preacher tell you the rapture may come tonight realize that he is either: A) A fraud or B) Just ignorant! The truth is that since the time of Paul, we have been living in “the last days!” (Heb 1:2). Even the Apostles of God did not know when Jesus would return, why should a TV preacher know? President Obama's former spiritual advisor, the Reverend Jeremiah Wright, gave a seminar at the University of Chicago last week in which he made numerous anti-Semitic remarks while once again attacking white people.According to the New York Post, during the five-day course that cost up to $1,000, Wright claimed "whites and Jews are controlling the flow of worldwide information and oppressing blacks in Israel and America."" White folk done took this country," Wright said. "You're in their home, and they're gonna let you know it." Despite the astonishingly racist comments during this week-long event, as well as his former connection to the current President of the United States, not one media outlet besides the Post reported what transpired at the Chicago Theological Seminary on the university campus. Not one! Alexander the Great, whose tomb has been missing for nearly 2,000 years, could be buried in Broome in Western Australia, a Perth man says.-- Macedonian-born Tim Tutungis told ABC Kimberley that he first heard the 'Broomer' from his old mate, Lou Batalis. "We just got onto the subject of Alexander The Great's tomb, and he said, 'They'll never ever find it, no matter where they look, because Alexander the Great is buried in Broome, in Western Australia'," Mr Tutungis said. "Approximately 50 years ago, some guy went into a cave in Broome and he saw some inscriptions in there and they looked like ancient Greek.